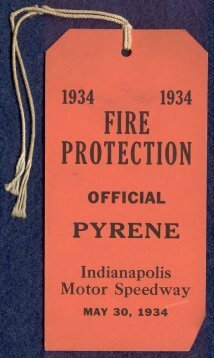 It is believed due to an incident where someone was burned due to the high flammability of celluloid, a decision was made to eliminate celluloid and use a different material for credentials. 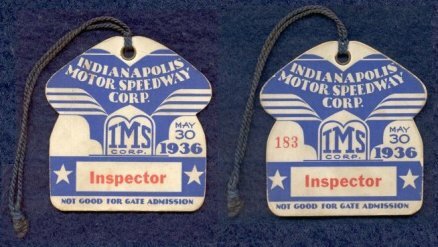 1932 is a transition year for credentials as the type changes from being primarily celluloid or pin back button to almost entirely cardboard/pasteboard with a few exceptions noted below. 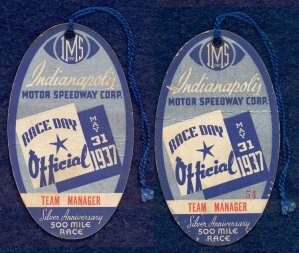 Cardboard/pasteboard race day official credentials are blank on the back from 1932 through 1934 but become two sided in 1935 with the same design on both sides. 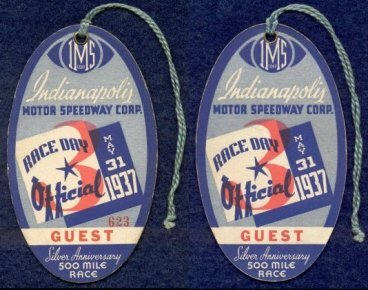 From 1936 through 1946, a serial number appears on one side of all cardboard/pasteboard credentials. 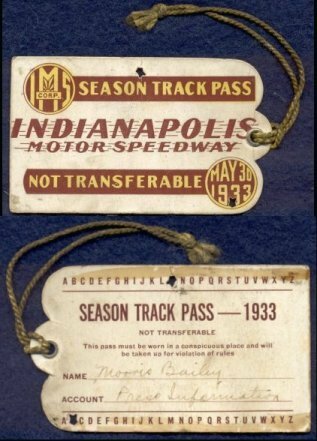 Season track passes are two sided with a design on one side and an information area to be filled in on the back. 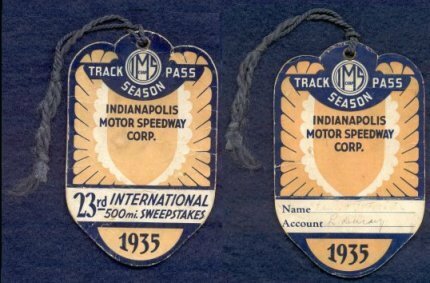 Temporary track passes generally have a design on the front and at least* three paper tear off pages on the back. 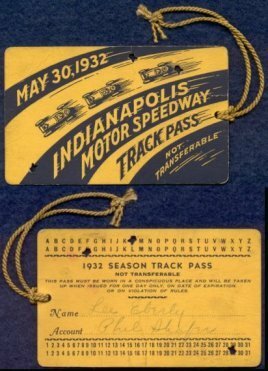 On some years the last page is either glued or has stuck to the back of the pass however, it is *believed that over time this has occurred and these were not originally made like this. 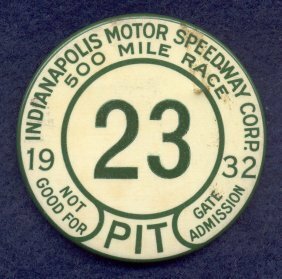 The different color and number on the Pit pin back buttons may be to differentiate the *pit box number. 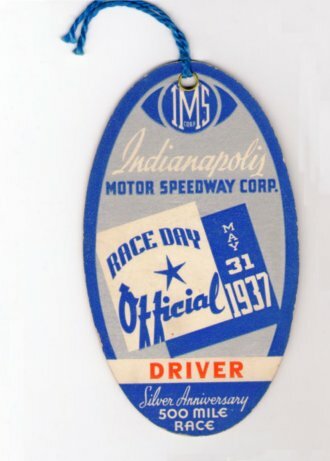 From 1938 through 1946, metal pit badge credentials were issued along with cardboard/pasteboard credentials. 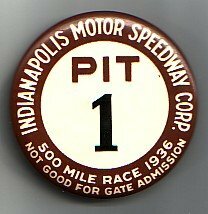 Please refer to the pit badges page for more information regarding pit badges. 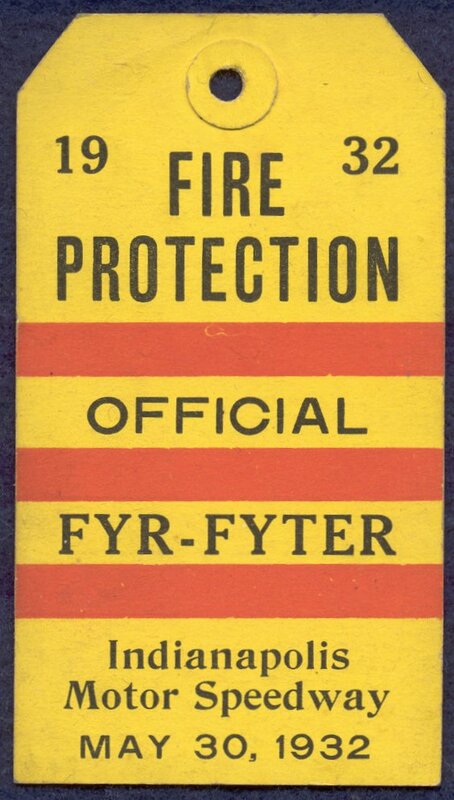 Note the "Fyr-Fyter" credential is of the thin cardboard type as are those of 1934 and 1937. 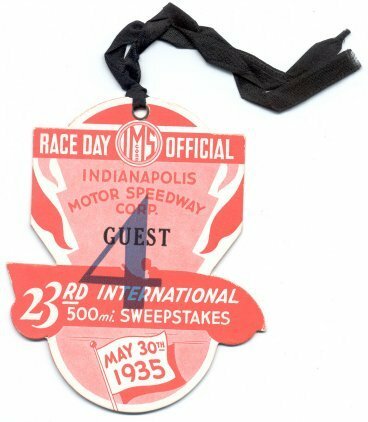 Note also the #4 button on the Guest Race Day Official Credential. 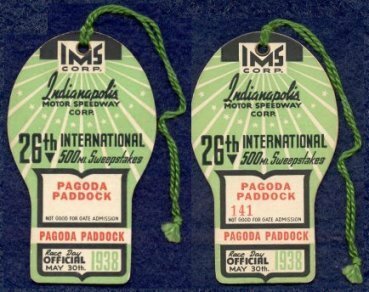 The numbers (which can be on a button or printed on the credential), are believed to designate a floor of the Pagoda. 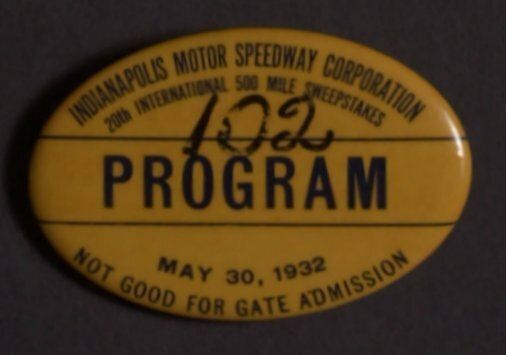 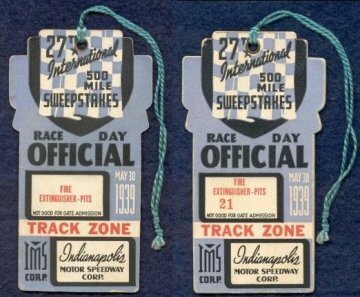 Most are found on "Guest" credentials, but there are examples other than "Guest" with the #2 1946 "Pagoda Paddock" being one of them. 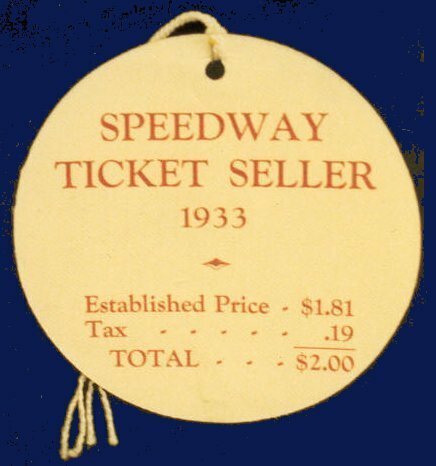 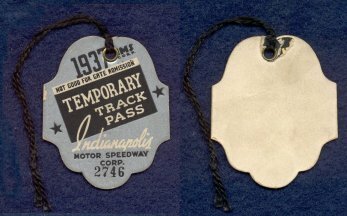 It is not certain what type of material was used to make the Ticket Seller credential below, but it *may be of a medium to heavy paper similar to the 1936 Lap Scorer below or a cloth/canvas type material like the 1937 AAA Time Trial below. 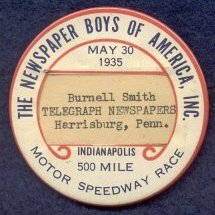 The Newspaper Boys of America pin back button below is not believed to be issued by the Speedway, but by the date, it was obviously used on race day. 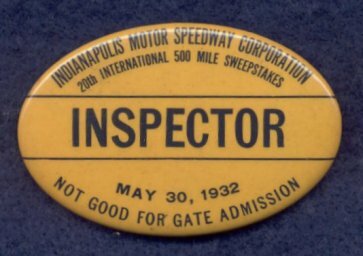 The race day/race day official Pit below is the *last known pin back button type issued by the Speedway. 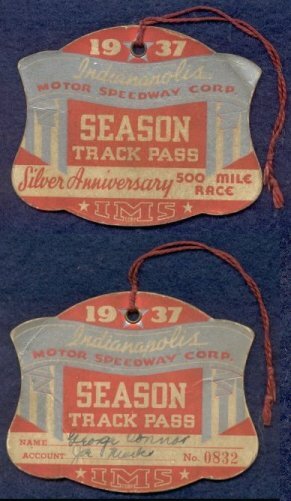 The Lap Scorer & Guard ribbons below and the 1940 Guard ribbon below are believed to be *made of a medium to heavy paper. 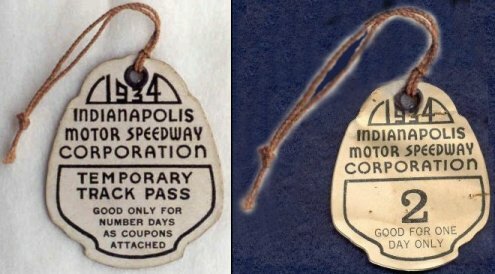 As these are the only examples from pre-World War II (there are examples after WWII), it is *assumed that this type was used in other years prior to 1941. 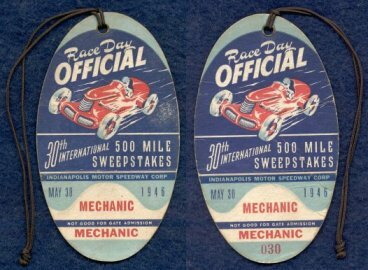 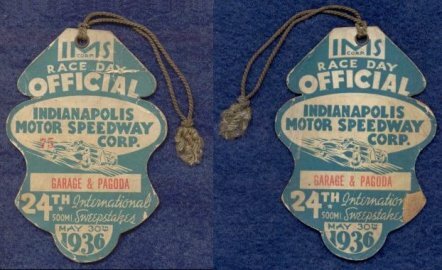 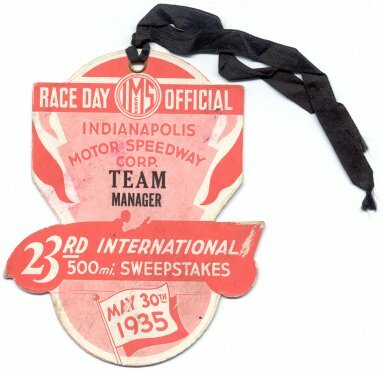 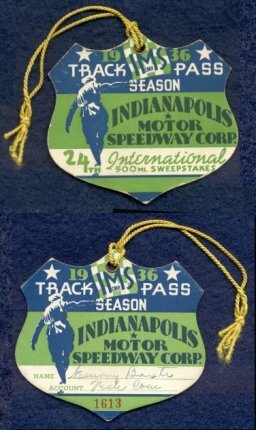 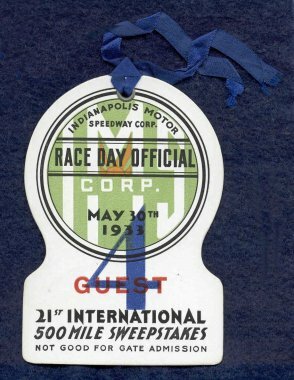 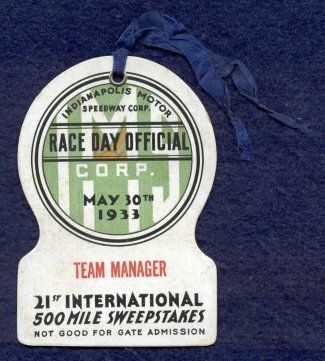 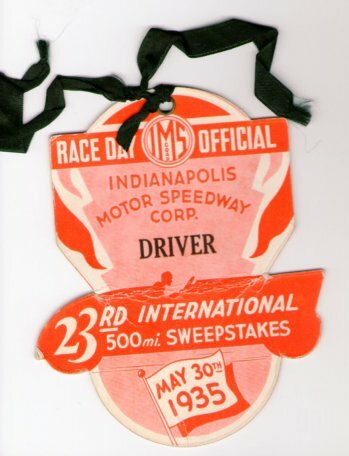 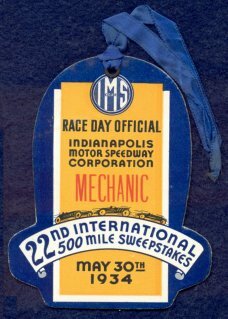 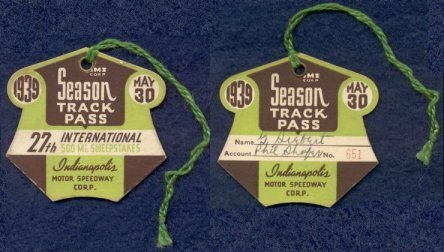 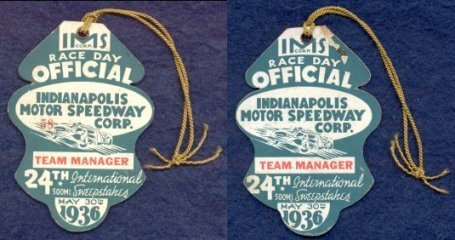 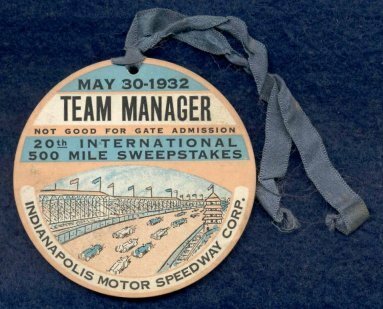 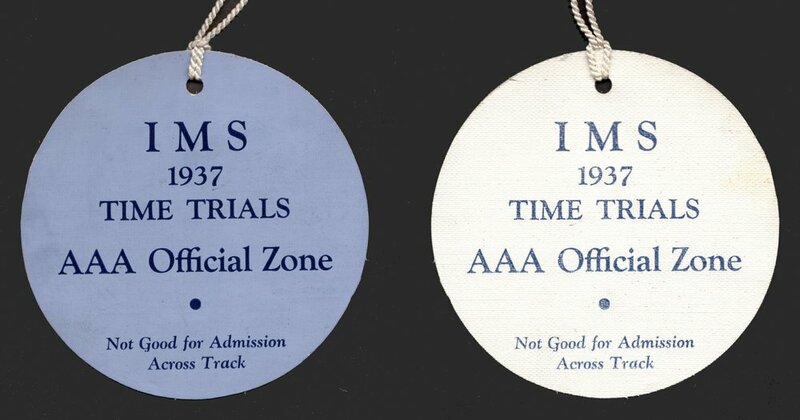 The AAA Time Trial credential below is made of the same cloth/canvas type material as the 1937 Time Trial Armband (see the IMS Armbands 1909-1947). 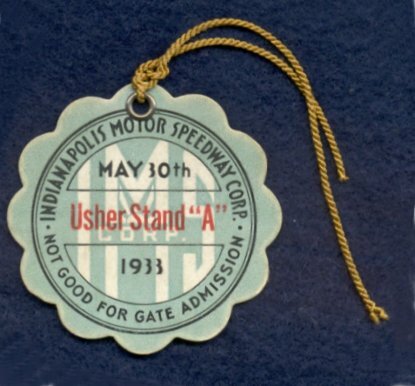 Why it is blue on one side and white on the other is unknown. 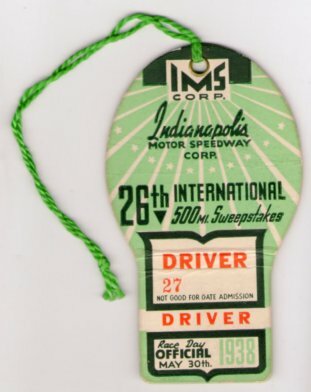 Note that one of the secondary race day credentials below has a blank space where a designation could be written. 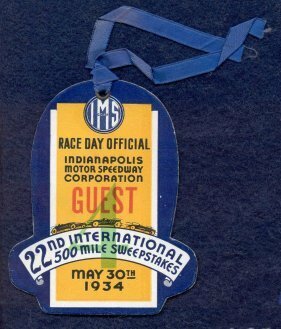 Credentials from 1932 through 1946 do become easier to find but again, none can be considered common. 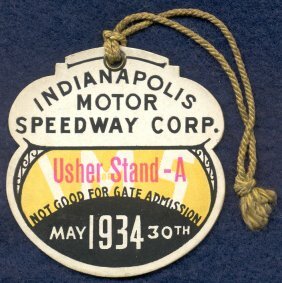 Those from 1937 on up tend to be easier to find and as with previous credentials, those associated with race teams are more desirable.